Since 2013, the Unipol Group has renewed its commitment to support the Literature Festival held each year in the city of Mantua during the fall. The Literature Festival has been one of the most eagerly awaited Italian cultural events since 1997, consisting of five days of meetings with authors, readings, guided tours, performances and concerts with artists from all over the world who meet in Mantua to experience an unforgettable festive atmosphere. 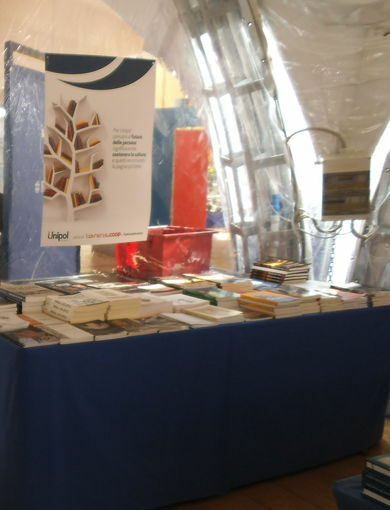 The Group also supports the festival through its consolidated partnership with Librerie Coop, always present with a stand that becomes the largest temporary bookshop of the Festival, overlooking one of the main city squares. The Festival also had public success in 2015: over 100,000 visitors and more than 1,400 press articles made it an event not to be missed on the Italian cultural scene.